When a leading global manufacturer of high performance animal feed additives increased output, they quickly ran out of storage space in their main warehouse facility. Ross Sadler, the company's Maintenance Engineer, was tasked with finding a solution to the problem. Their innovative product range contains organic acids, phytogenics and mineral-based additives which are proven to improve feed quality and intestinal animal health. Once manufactured, the bulk products are bagged and palletised prior to storage in the warehouse. 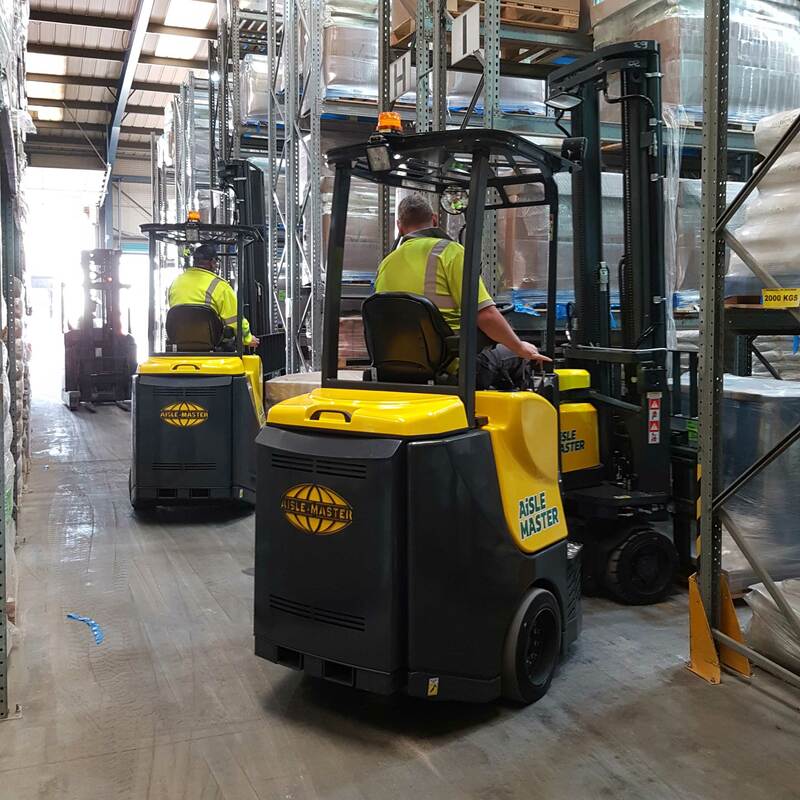 The company currently had relatively narrow aisle racking and utilised electric reach trucks within the warehouse along with traditional diesel counterbalance trucks for yard handling. Ross contacted Jim Quinn of Ability Handling to get professional advice on his options. Following a site survey, Jim recommended the use of Aisle-Master machines to allow a further reduction in aisle widths and dual use in the yard. Looking at the existing racking layout, Ross worked out that if they switched from their existing reach trucks to the Aisle-Master he could gain three additional rows of racking and reduce the number of yard trucks required. Ross subsequently placed an order for two AM15SE Aisle Masters and also decided that the warehouse will go all electric with a new Doosan B25X-7 yard truck to replace an existing diesel machine later in the year. 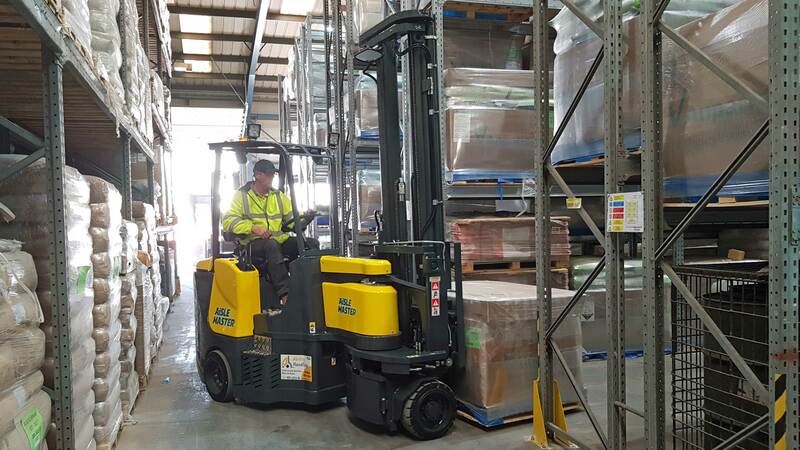 In order to facilitate a smooth transfer to the Aisle-Master, Ability Handling were able to provide a short term hire machine for proof of concept and driver training purposes. If you want to make the best use of your storage space contact Ability Handling today, the Aisle-Master specialists!